This driveway had a large amount of algae and lichen on it. 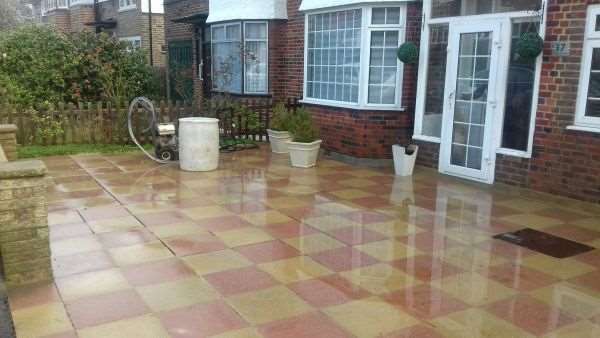 The driveway firstly required a pre-treatment to remove the contaminants and inhibit their return. 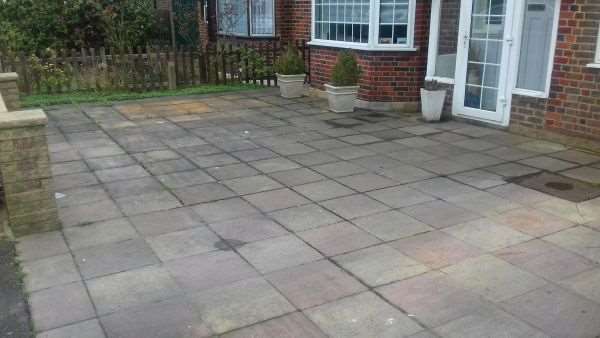 Once the treatment had been applied and left to work we jet washed the entire driveway, leaving a fresh looking surface.